Over time the straight forward gin and vermouth martini has evolved beyond the standard dirty, shaken, and/or stirred cocktail. Now you can find any number of fruit forward concoctions boasting a variety of ingredients from flavored vodkas to fresh squeezed juice. 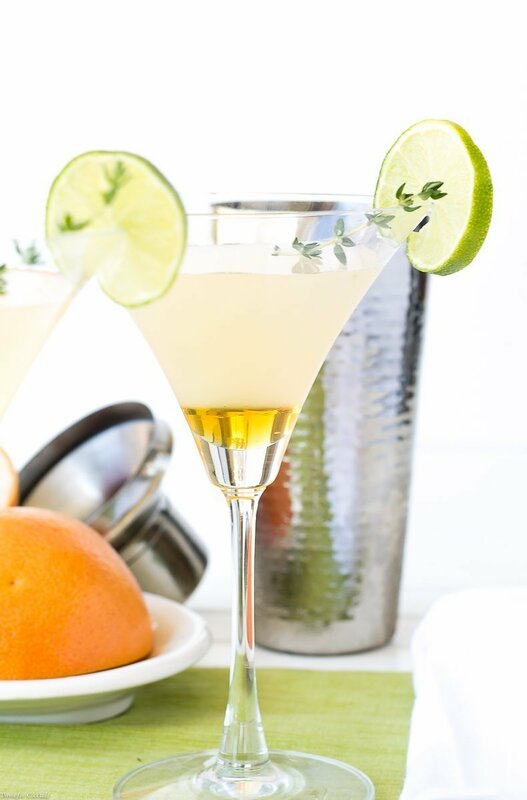 Much like this Honeyed Grapefruit Thyme Martini made with notes of grapefruit, lime, honey, and fresh thyme. 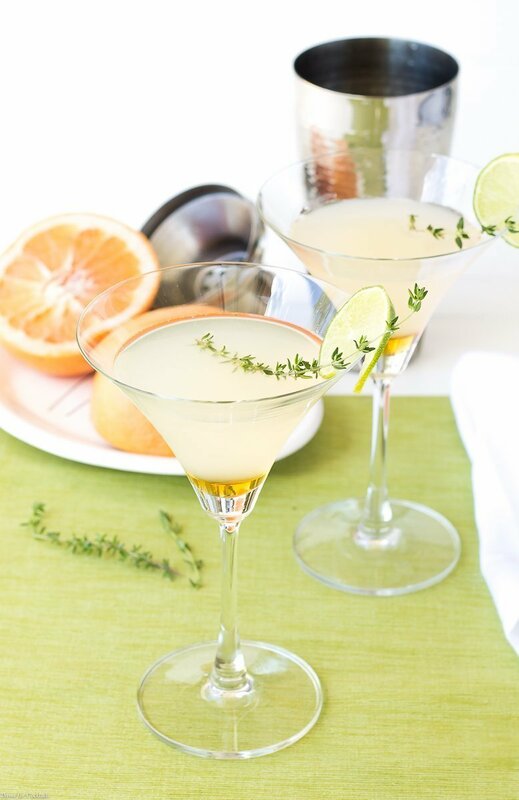 My original take on this sweet and tart Honey Grapefruit Martini recipe on the SoFabFood site has you adding fresh thyme to your cocktail shaker. Along with a few other necessary martini ingredients. To really enhance the herbaceous qualities though. I’ve since opted to make this drink recipe with a Honey Thyme Simple Syrup instead. To me honey makes a sweeter simple syrup than refined white sugar. So instead of the standard 1:1 sugar to water ratio try a 1:2 honey to water mix. Keep in mind that one cup of honey and two cups of water makes a TON of honeyed syrup. Which is fine if you want to use it in other recipes like Iced Sweet Tea or in desserts. Personally I usually make a smaller batch with 1/4 cup honey and 1/2 cup water for this Honey Thyme Simple Syrup! 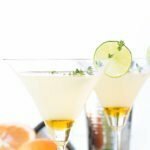 I hope you like this Honeyed Grapefruit Thyme Martini recipe as much as my crew does. If you love this seasonally inspired drink recipe, you can find more like it by checking out my Cocktail section! For recipe inspiration delivered to your inbox, subscribe to my newsletter, follow my photography journey on Instagram, and for generally inappropriate humor follow like me on Facebook! A lightly sweet honey simply syrup infused with fresh thyme. Add honey and water to a small heavy bottomed saucepan. Bring to a low boil, stir to dissolve honey. Add thyme sprigs, reduce heat to low. Simmer 5 minutes. Remove from heat and cool completely. Once cooled remove thyme, discard. Store unused honey thyme simple syrup in an airtight container in the refrigerator for up to 2 weeks. Tip- For a smooth mouthfeel when using fresh citrus juices strain through a fine mesh strainer lined with cheesecloth to remove pulp. Full recipe for my Honey Grapefruit Martini with notes of honey, thyme, and fresh squeezed citrus juice.